We are proud to announce our inaugural A2i Summer Institute at North Carolina State University (June 12-June 14) for our academic partners and prospective academic partners. This interactive, “train the trainers” conference is for universities interested in building and enhancing their industry employer partnerships through NC State’s trademarked Accelerate to Industry (A2i) program. Join us on our high tech Centennial Campus and come away with a toolkit for implementing the A2i model on your campus. 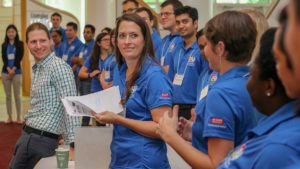 You will hear from our corporate sponsors, university partners, and members of the NC State community about facilitating the A2i program that helps graduate students practice the collaboration and leadership skills demanded by top companies. Thursday, 6/13 and Friday 6/14: Interactive sessions with campus partners, industry partners, university partners, and students. Our Summer Institute concludes Friday 6/13 at noon. Each person must fill out an individual application form using the link above, where you will also submit an individual registration fee. The registration fee is $125 per person. This cost covers the opening reception on Wednesday 6/12 and lunch on Thursday 6/13. We have reserved a block of 25 rooms at the Aloft Hotel for a special group rate of $152/night from Tuesday 6/11 through Friday 6/15. Aloft is adjacent to NC State’s Main Campus and a short drive from RDU airport via Uber or Triangle bus lines (2100 Hillsborough St, Raleigh, NC 27607). It is also within walking distance of restaurants and coffee shops along Hillsborough Street. Check-in and the opening reception will be held at Talley Student Union Room 4280. The interactive sessions on Thursday 6/13 and Friday 6/14 will take place at Hunt Library on Centennial Campus. Both locations are accessible from Aloft using NC State’s Wolfline shuttles. 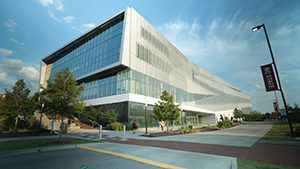 Image of Hunt Library in early evening on the Partners Way side of the building. NC State’s Campus and the Aloft Hotel are a short drive from RDU airport via the Go Triangle 100 bus line.